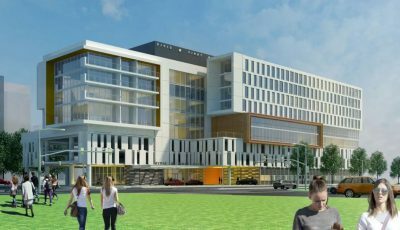 With the April 16 opening of the Hilton Downtown Rochester fast approaching, Rochester is preparing to celebrate the completion of one of the first concrete examples of the Destination Medical Center (DMC) initiative. 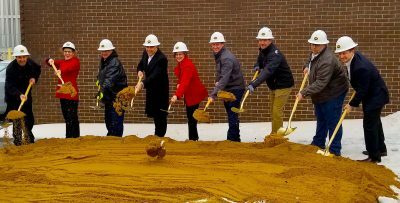 So, it’s probably fitting that the driving force behind the landmark project is a local company with deep roots in the Rochester community – Titan Development & Investments. 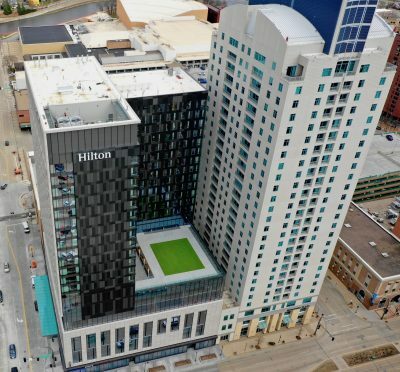 DMC recently chatted with Titan Development & Investments leadership to learn more about their long history in Rochester, their upcoming opening of the Hilton hotel, and a look into the future. Titan has a long history of being a successful developer. What do you attribute that to? Titan has always had a diverse portfolio because we are able to strategically shift to different asset classes as the market changes on a local and national level. 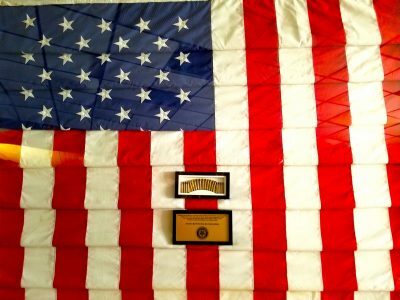 One of the big reasons that we are able to be this aggressive and continually deliver superior results is that we have a dedicated team focusing on the entire process including financing, planning, and construction management. 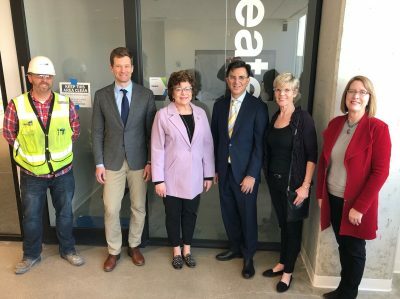 Minnesota Department of Employment and Economic Development (DEED) Commissioner Steve Grove recently stopped in Rochester to meet with Destination Medical Center (DMC) leaders, to tour innovation sectors in the city, and to discuss new startup incentives with Rochester’s entrepreneurs. Grove, a native of Northfield, Minn., built his career in the private tech sector, spending time at both Google and YouTube before relocating back to Minnesota with his family. After being appointed DEED Commissioner by Governor Walz this January, he’s now tasked to revitalize Minnesota’s innovation economy to help make the state a magnet for top tech talent. As part of this plan, Governor Walz issued a $9 million budget proposal for a Minnesota Innovation Collaborative (MIC) to encourage startup growth in the state. The MIC would utilize grants and other resources to help lower risks associated with starting high growth potential businesses, including early grant funding, R&D vouchers, an entrepreneur benefits package, and enhanced educational opportunities. Walz’s proposal also includes reinstatement of the Angel Tax Credit incentive to encourage investment into early stage Minnesota startups. If approved, MIC would be administered by DEED. During his meeting with DMC leadership, the commissioner saw the growth in downtown Rochester and learned how the DMC initiative is serving as a successful model of economic development for the state. In a separate meeting with local entrepreneurs, entrepreneurial ecosystem builders, government officials, and DMC staff, the commissioner shared information about the Governor’s priorities related to entrepreneurism and learned more about the local innovation community. As part of the visit, Grove also toured One Discovery Square and other innovation hotspots in downtown Rochester, including Collider Coworking and the Mayo Clinic Business Accelerator. Grove’s visit highlights the growing interest in Rochester and DMC as a success story in economic development and as a major technology hub within the state. If approved, MIC could have major implications for entrepreneurship and startup growth in the Discovery Square sub-district.